Today we are going to showcase “Knowing Nile” by popular artist Ian Zachary Whittingham. Ian Zachary Whittingham is a skillful journalist, model, actor, producer and founder of “The Manic Media Group”. "Knowing Nile" is a real story about Nile who was a friend of Ian Zachary Whittingham, in London and it is filled with factual and frank emotions. Ian recollects Nile’s personalities and writes in his blog that Nile was as a multi-talented person. Nile went to study films in a university at Kingston and during that time Ian Zachary Whittingham established a Media company. Nile was diagnosed with Schizophrenia which is a mental disorder. Later Nile himself got admitted in a Mental Health Unit based in East London May 2011. He feels that knowing Nile for a year wasn’t enough. They together setup Maniac Media where they had lot of fun. Ian Zachary Whittingham and Nile were partners in creating “The Manic Media Group”. After Nile passed away Ian Zachary Whittingham has created a facebook page and blog in memories of his late friend. 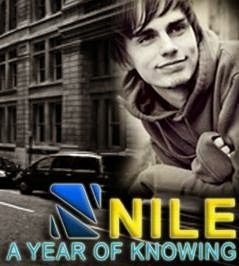 Checkout the facebook page - https://www.facebook.com/KnowingNile.